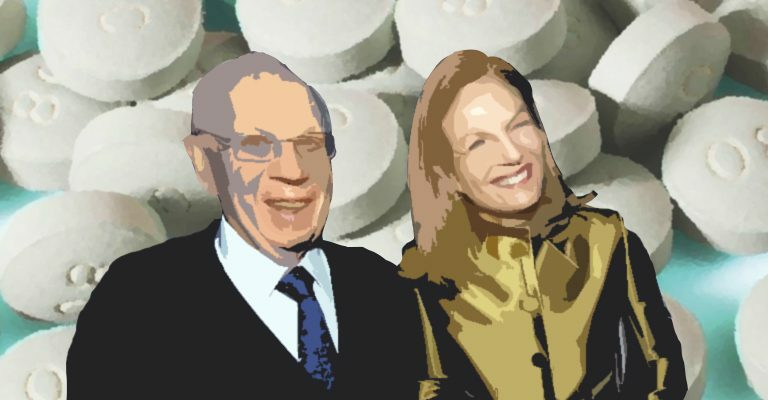 The Sackler family, owner of major pharmaceutical firm Purdue Pharma, spent years deliberately misleading doctors and patients about the lethal danger posed by its flagship product, the opioid painkiller OxyContin. On Tuesday, Massachusetts Attorney General Maura Healey filed internal communications from the company that clearly proves how the Sackler family sought to cash in on the proliferation of OxyContin as the body count resulting from its use mounted, fanning the deadly opioid epidemic that has spread across the United States. Despite growing evidence of the drug’s addictive potential and its toll on human lives, the company’s then-president Richard Sackler cynically sought to shield his company from liability by shifting the blame onto the opioid’s victims, according to The New York Times. Additionally, the filing reveals that Richard Sackler urged sales representatives to advise doctors to prescribe high doses of OxyContin as a means of maximizing company profits. The email is part of a tranche of internal correspondence that Maryland’s attorney general cited in her latest company filing, showing the aggressive nature of Purdue Pharma’s marketing of the drug, which ultimately helped spark the ongoing opioid epidemic while making the Sackler family one of the richest families in the United States. The Sackler name adorns medical schools and museums across the globe. The court filing also asserts that Purdue Pharma had received scores of reports that OxyContin was making its way onto the streets and was being abused, yet the company failed to alert authorities. Last June, the Massachusetts attorney general sued eight members of the Sackler family along with various executives and members, alleging that the company had deliberately misled patients and doctors about the drug’s risks. Following OxyContin’s 1995 launch, Richard Sackler bragged that “the launch of OxyContin tablets will be followed by a blizzard of prescriptions that will bury the competition. The prescription blizzard will be so deep, dense, and white,” according to the legal complaint. In 2007, Purdue Pharma and its three leading executives pled guilty to federal criminal charges that the company had misrepresented the dangers of OxyContin, resulting in the company paying $634.5 million in fines – yet the Sacklers were never accused of personal wrongdoing and have never been on the hook for the consequences of their profiteering from the drug epidemic. The filing, however, shows that as late as 2012, Richard Sackler meticulously micromanaged the company’s sales and marketing efforts. Over 200,000 people have died in the United States from prescription opioid overdoses since 1996, making Purdue Pharma the target of numerous of lawsuits. In 2017 alone, about 65,000 fatal drug overdoses took place in the U.S., many of which were due to cases of prescription drug abuse. Most Americans would be hard pressed to find someone in their family and social circles not touched by the opioid crisis in some capacity. While at the same time, one of the richest families in the United States suffers little to no consequences for spurring a crisis currently ravaging the country.